The J.R.R. 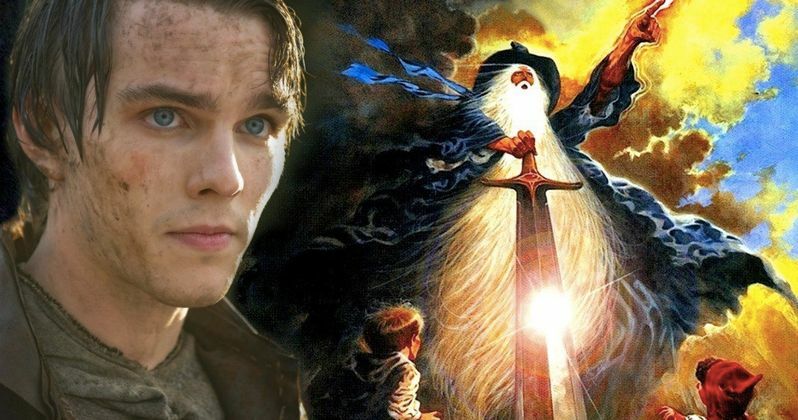 Tolkien biopic is finally happening, as Fox Searchlight has announced the cast and release date for their look at the life of the beloved author behind The Lord of the Rings. We first heard about this biopic back in 2013, but there have been few updates on the project since and it wasn't clear if the movie had perhaps been shelved. Apparently not, as the studio has put all of the key players in place and they're ready to unleash the tale of Tolkien on audiences around the world this summer. Fox is set to release the J.R.R. Tolkien movie in theaters on May 10, which puts it right at the start of the very busy summer movie season. That indicates a certain level of confidence in the final product, and it also shows that they feel the movie has commercial appeal. Previous comparisons, in terms of tone, have been made to Saving Mr. Banks and Finding Neverland. What's perhaps most incredible is that this movie was able to sneak up on everyone, given that it is a pretty high-profile movie. The cast includes Mad Max: Fury Road and X-Men star Nicholas Hoult as J.R.R. Tolkien, with The Blind Side and To the Bone star Lily Collins as his muse and wife, Edith Bratt. The cast is rounded out by Colm Meaney, Anthony Boyle, Patrick Gibson, Tom Glynn-Carney, Craig Roberts, Laura Donnelly, Genevieve O'Reilly, Pam Ferris, and Derek Jacobi. Dome Karukoski (Tom of Finland) is in the director's chair. Tolkien will explore the formative years of the orphaned British author as he finds friendship, love and artistic inspiration among a group of fellow outcasts while attending school. His journey leads him into to the treachery of World War I, which threatens to tear the "Fellowship" apart. All of these life experiences would go on to inspire the man to write his famous Middle-earth books, including The Hobbit and The Lord of the Rings trilogy. Another interesting item of note; the Disney purchase of Fox is expected to close in the coming weeks. So, by the time this biopic is actually released, it should be Disney in control and not Fox as we know it. This will likely be one of the first major releases from the studio that Disney will inherit and distribute in the aftermath of the merger. J.R.R. Tolkien is one of the most celebrated British authors in history. The Lord of the Rings has sold more than 150 million copies worldwide and went on to inspire Peter Jackson's live-action movie trilogy, which ranks as one of the most financially and critically successful trilogies ever produced. Jackson would later adapt The Hobbit into a trilogy that was less critically loved, but equally successful from a financial standpoint. The script for Tolkien was penned by David Gleeson and Stephen Beresford. With the release date fast approaching, Fox Searchlight should be releasing a trailer very soon, which we'll bring your way as soon as it's made available.